They claim to have at least four wandering around the store, including one that died at the age of 6, and another in her 80’s. Actually, that number may have gone up by now, like I said, it’s been awhile since we we there. 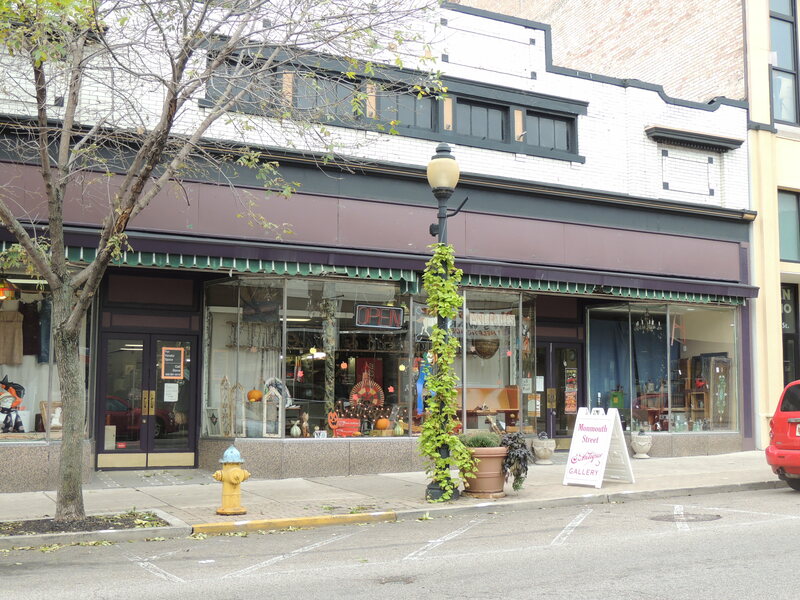 While we didn’t see any spirits antiquing during our visits (damn, we always miss them), several ghost hunters, psychics, and even regular patrons have reported encounters with the departed while here. Though we didn’t have the pleasure of meeting any of the Monmouth Street Antique Gallery’s spooks, I did think the place was pretty damn creepy at night. Maybe it was the antiques themselves, or just the fact that the basement had that spooky look to it, but yeah, it was kinda creepy. The shop is part of the Newport is Haunted tour, so check that out for more info, or just stop in and do some shopping. They are located at 822 Monmouth Street in Newport. Excellent. Are they cool with setting up an all night hunt? I’ve been itching to get back out there and do some hunting, but I don’t know of many places to go. Well they were, I’m pretty sure they still are, but like I said, it’s been a few years since I’ve been there. Of course. If I ever get a free night maybe I’ll talk to them and see what they say. Thanks for the lead. That’s why this site rules! I just got done reading the Shimmers page too, looks like another hunt possibility. Lol it’s been a few years since I was there also…someone called me out on my comment about it being a popular hangout by letting me know it’s closed now. It may be reopened under another name, I’m not sure, I haven’t checked yet. This place was a Kresge back in the 70s. The company would later become Kmart and this location closed when they opened an actual Kmart less than a mile away. They had a lunch counter and as a child I had a few chili burgers there that were goooood. Wish I knew how to make them.